I’m happy to announce version 5.6.0 of the SeedProd Coming Soon Page and Maintenance Mode plugin. In this release I’m excited to tell you about a new feature that has been added called “Prize Levels“. While the plugin has had referral tracking built-in for a while, it was up to you to decide what to do with that data in regards to rewarding the visitors who referred the most users. Now that process has been automated. 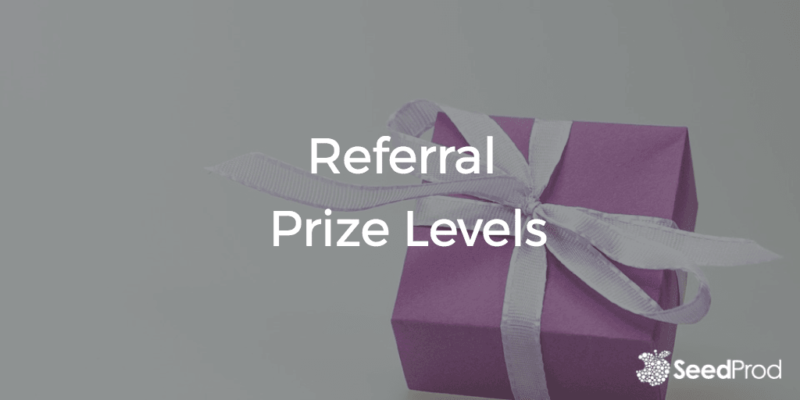 You can now define up to 5 different prize levels to rewards visitors who refer a predefined number of subscribers back to your site. And subscribers can check back to your site to see their prize level status. Here’s a video to demonstrate the concept in-depth. So as you can see this makes it super easy to reward your best subscribers. Finally we have made it easier to copy out the bypass url. As you can see from this screenshot below the bypass url is created as you type in your secret phase. This makes it super easy to copy and use. That’s it! We hope you enjoy this release and as always I welcome feedback!